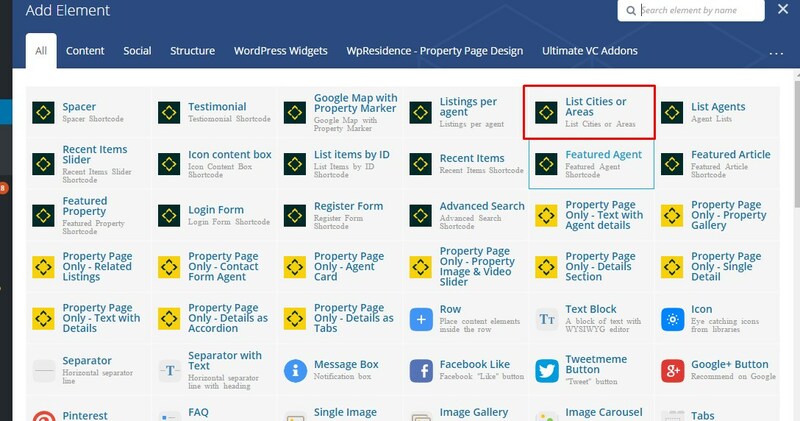 If you wish to add cities/areas in your pages with WP Residence shortcode, follow these steps. Specify the IDs (to find the IDs easier INSTALL REVEAL IDS plugin. To have an image for the city/area you add in the shortcode and a text description, follow these steps. Edit the category and add the Featured Image and the description.